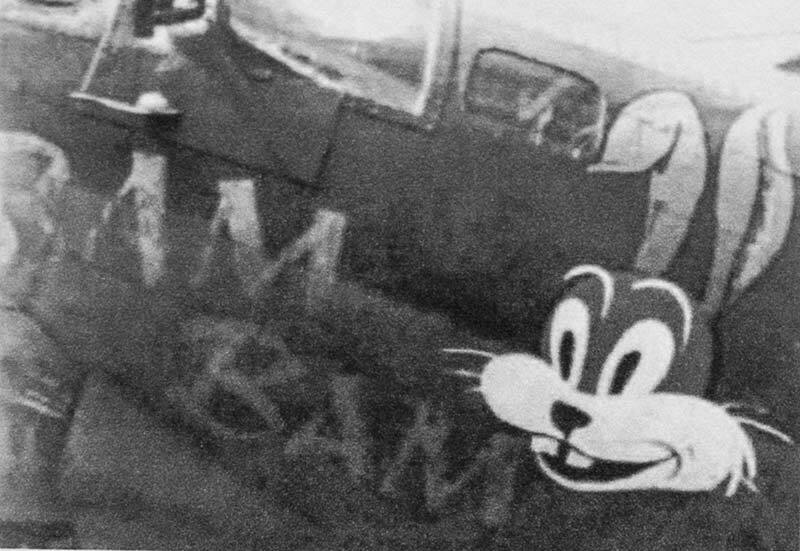 Bruce Jordan has kindly given to us a collection of cuttings and letters that he has gathered together whilst researching and collecting information in relation to the US bomber ‘Bam Bam’ that crashed just outside of Great Gidding in 1944. These details have just been released after a 70 year ban on publication the previous story in the Memoriam is – well just a story. The happenings afterwards were, of course, provided by the survivors. In June 1944 the weather in the UK was awful, so much so that D Day was put off for 24hrs. It was essential that the German airfield at Nantes was quickly put out of action due to its close proximity to the landings. The US 8th Air Force was tasked to do this operation. 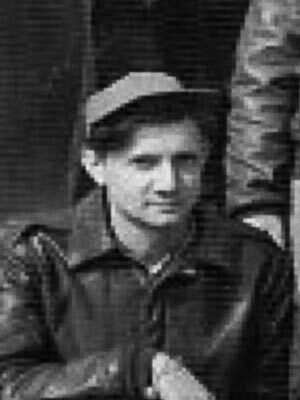 (June 10th 1944 Mission 177) At Molesworth ILt Sam Oliver joined the line of B17s heading for take-off unfortunately he ran off the taxi-way and became firmly stuck in the mud. He was ordered to leave his plane (The Floose) and take Bam Bam the stand-by aircraft. When on board, note this plane had already done 42 missions, the crew reported to control that there was a very strong smell of fuel inside. They were told that as the aircraft had been standing for some while it could be expected and would probably ventilate as they got going. When they joined up with all the rest they again reported to control saying that the smell was worsening all the time… then nothing Bam Bam had exploded. It is thought that they were about to request a return to base. The B17G crashed one quarter of a mile southwest of Great Gidding, Huntingdon, England. Four crewmen escaped the other six died in the crash. The B-17 went down on June 10th 1944 shortly after take-off, just after joining the formation on a mission to attack an airdrome at Nantes, France. There apparently was a control disfunction and when last seen, her left wing dipped down and the aircraft went into a dive. 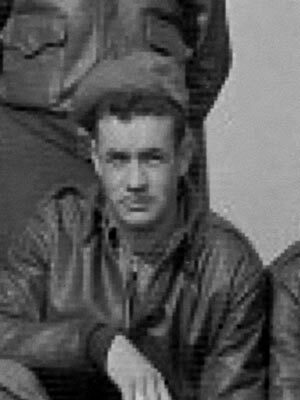 Pilot 1Lt Sam Oliver managed to pull it out and climbed to the level of the formation but there was a second plunge followed by an explosion, apparently caused by the bombs, and the tail was blown off. The B-17 crashed a quarter of a mile southwest of Great Gidding. Oliver and five others were killed. Four managed to bail out and survived. Bruce has lived in Great Gidding, about half a mille from the crash site, since 2001 and when he became aware of the World War II mishap he was distressed to discover that it had gone unmarked over the last half-century. Due to Bruce’s efforts the 358th Squadron crewman who died in the incident now have a memorial in St Michael’s Church and the names of the 303rd Bomb Group crewmen who died will be read out in church services every November, along with the names of all those in the village of Great Gidding who lost their lives in the two World Wars. The B-17 Bam Bam crash site in Great Gidding on the day (June 10th 1944). The B-17 Bam Bam crash site in Great Gidding as it is now, (April 2007). 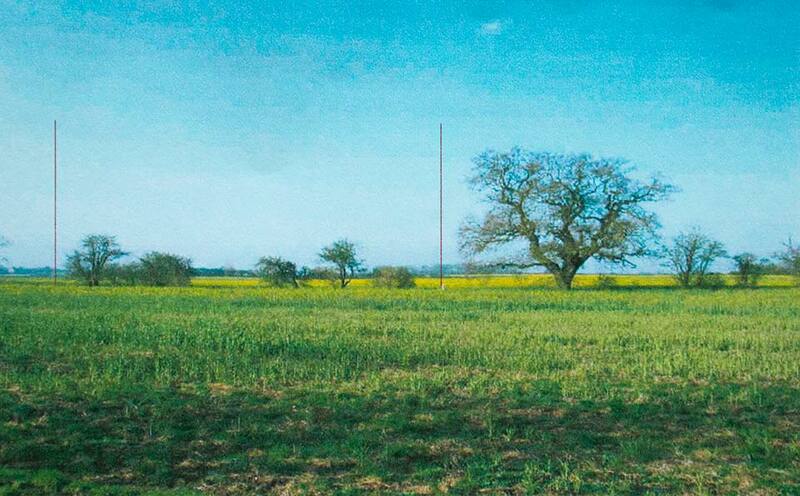 An ash tree stood on the left and the oak tree still stands marking the passage of time. The Alconbury Brook runs just behind the camera position. The debris area is between the markers and just in front of the hawthorn trees. Due to the explosion a large amount of debris was spread over a very wide area including Great Gidding and Luddington. Even now the odd round of 50cal. ammunition comes to the surface during ploughing. 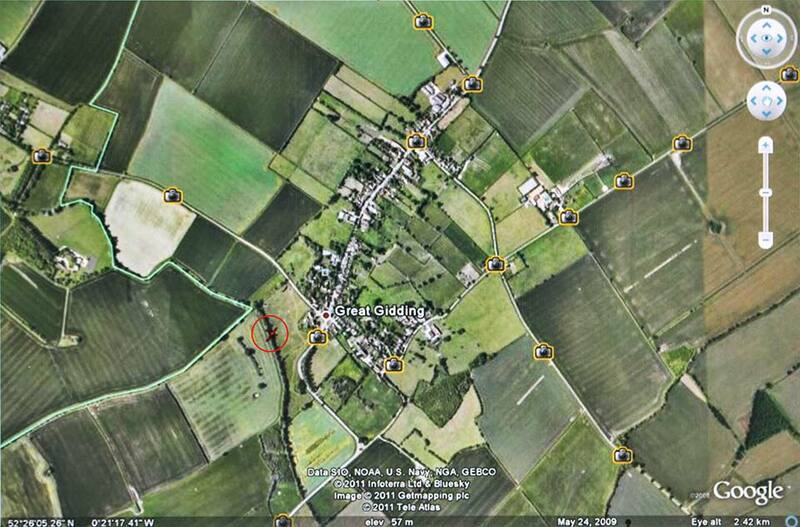 Google map showing exact position of crash site in Great Gidding. 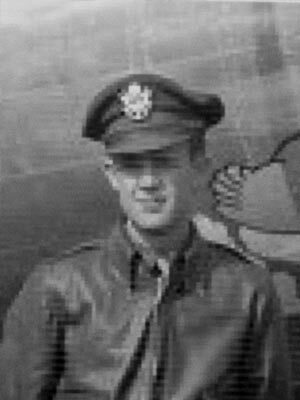 1Lt Earl D. Metko was substitute navigator on the 10th June mission. He was blown out of Bam Bam, when it exploded, with only one riser of his parachute fastened. He had an injured shoulder and was hospitalised. 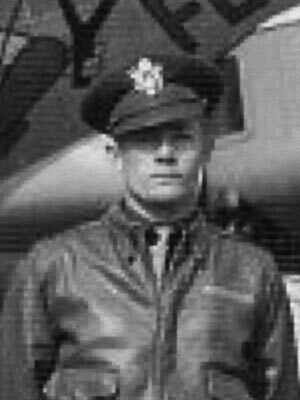 He became Lead Crew Navigator and completed his 30 mission combat tour on 22nd March 1945. T/Sgt Whitney Haskell was the third person safely to eject. He managed to exit from the nose escape hatch. He had only one riser attached to his parachute harness. He lost consciousness but regained his bearings as he was free falling outside Bam Bam. After a futile attempt to buckle the 2nd clip he pulled the chute ripcord which immediately and safely opened. He came down in a tree and was rescued by the farmer and his wife who then took him straight to hospital. He flew on fourteen additional missions, after the 10th June crash of Bam Bam, as a Lead Crew Engineer. He completed his 30 mission combat tour on 9 April 1945 and died in 1991. 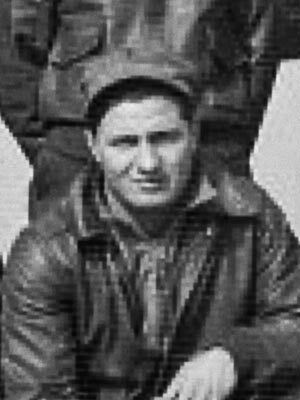 2Lt Harry Chapple had both risers fastened to his parachute harness but was unconscious during his fall except for just before impact. The explosion propelled him through the plexiglas nose causing over 40 rents in his gabardine flying suit and fairly serious cuts in his scalp and eyelid. He was hospitalised for several weeks after returning to Molesworth. He flew on three additional combat missions after being released from hospital. He left the 303rd on 22nd August 1944, later becoming ill with Parkinson’s disease and he died on 11th June 2000. 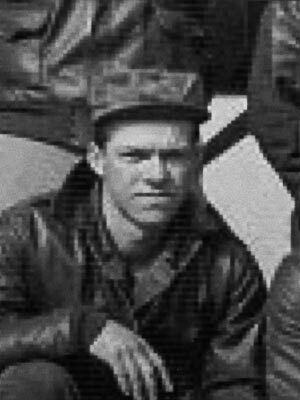 S/Sgt Wayne Humphries was the last of the four men to exit from Bam Bam. 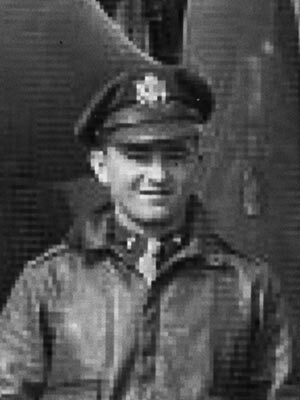 He managed to reach his parachute and clasp it to his chest after the explosion severed the tail compartment from the B-17. He fell out of the B-17 just off the tail wheel in a tumbling mode. He managed to buckle both sides of his harness to the chute clips and pull the rip cord. He was able to drift clear of the remnants of Bam Bam and made a successful landing. 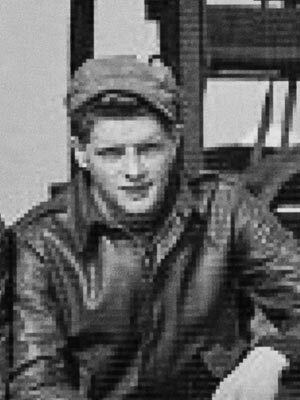 He flew on no other 303 BG(H) missions after his 10th June 1944 bailout. 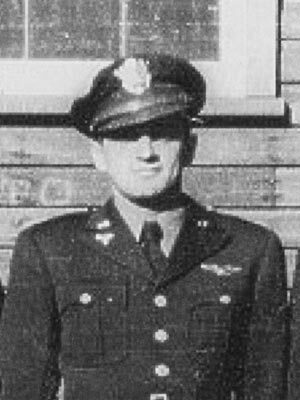 He was transferred from the 303rd on 18th July 1944 to the 9th Air Force in France and flew additional combat missions in an A-20 ‘Marauder’ low level twin engine attack bomber. 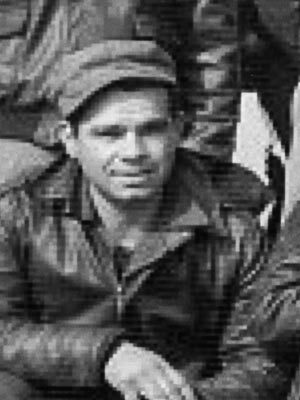 Following WWII he returned home to Shelley, Idaho and lives in a house next to his daughter Stacia Herndon. 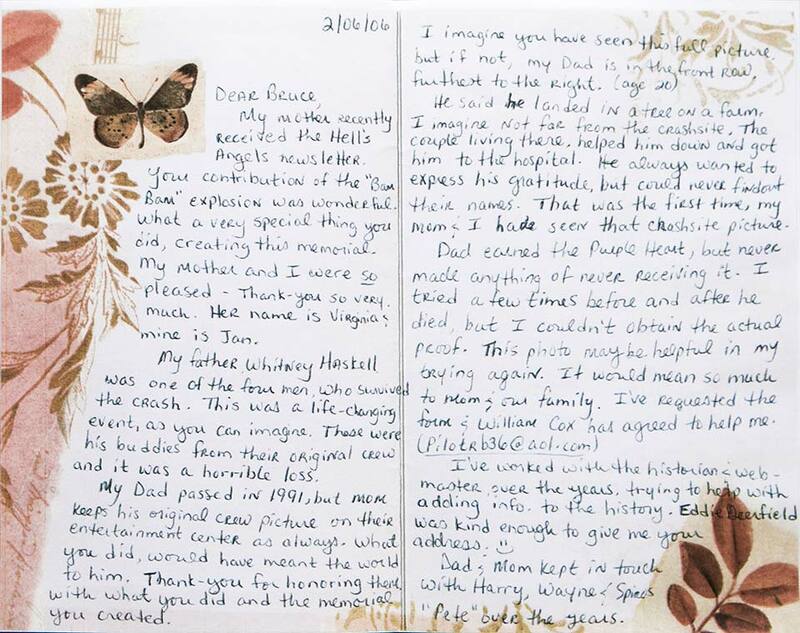 The archive contains grateful letters of thanks from relations of the crew. Thank you for your time and dedication Bruce. I knew about the plane crash, I know more about it thanks to Bruce, B17 Bam Bam, all of what happened on that fateful day and how. Also all of what happened next, the men now have names and faces, some lost their lives some went on to fight for mine never forgetting their friends, I will never forget. I feel I know them also. My dad was in the crash, Whitney Haskell. That’s my letter to Bruce. We worked together on some of this. His work and dedication to memorialize this event is awesome. It’s a day that changed my dad forever. Thanks again Bruce! I remember the crash quite clearly ,I was 8 years old at the time, being woken up by a huge bang the window rattling thinking we had been bombed.Ilooked out of the window ,the sky was full of debris and further bangs, my mother told me to come away from the window in case of further explosion could break the window.later that morning we were told to stay in the house as there were unexploded bombs .about the village. Some days later walking in the field at the back of our house ,I remember picking up bits I suppose aircraft. I also remember the American forces generosity, every so often a jeep would come to the village on their way to the local pub, The Fox and Hounds throwing out base ball bats chewing gum sweets. My name is Anthony Imbrogno I’m 52 years old. My uncle was Americo Imbrogno and was one of the 6 men that passed away in this crash. The crash happened 20 years before I was born. I’ve only read a few things a couple of years back- my family didn’t seem to know many details. I was just wondering if anyone remembers him and could tell me a bit about him- etc. It would be greatly appreciated. I’m grateful for all of your service and I would like to Thank you for all your sacrifices- God Bless. TO SEE THE PLANE CRASH IN WHICH MY 21 YEAR OLD UNCLE DIED IS HEARTBREAKING. HIS NAME WAS AMERICO IMBROGNO, MY MOM’S BABY BROTHER. THE EVILNESS OF WARS TOUCHES ALL OF OUR LIVES. I WAS SIX WHEN HE DIED BUT WILL ALWAYS REMEMBER THE IMPACT ON MY MOM AND HER SIBLINGS AND MY GRAND DAD. GOD HAD TAKEN GRANDMA SHORTLY BEFORE UNCLE DIED; IT PROBABLY WOULD HAVE BEEN UNBELIEVABLE FOR HER AND VERY ,VERY SAD.MAY HE AND ALL OTHER HEROES OF WARS REST IN PEACE.